CH James is the place to be for healthy style brunch dishes. 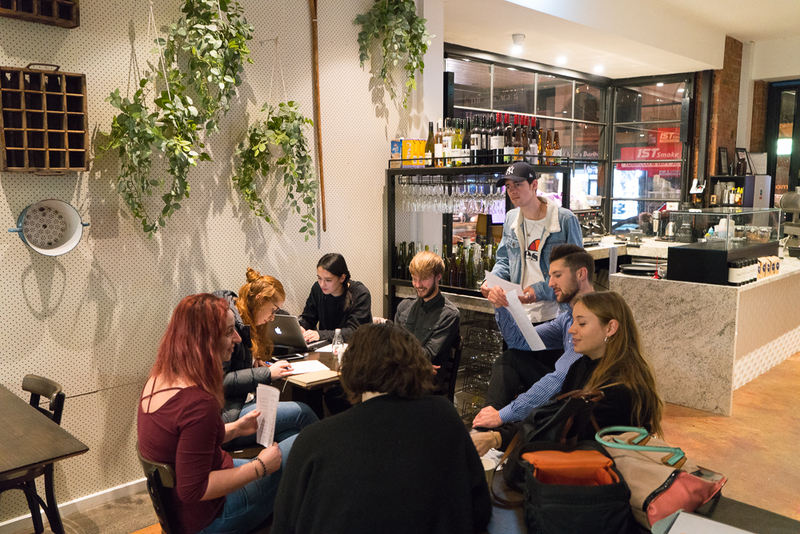 Leading Melbourne blogger The World Loves Melbourne believes so and has written an article. Healthy dishes are a hit at CH James cafe in Fairfield. 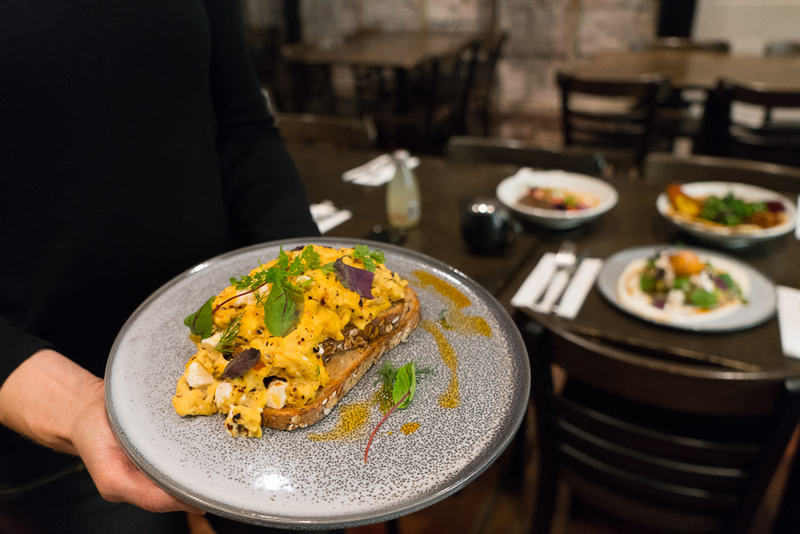 We've noticed that on Melbourne cafe menus there are many more options for healthier style brunch dishes reflecting the demand by customers. Gone are the days of the huge fry up. CH James offers the equivalent of the big breakfast but it's not a greasy fry up. For those health conscious customers CH James is the place to be. Chefs in the kitchen. 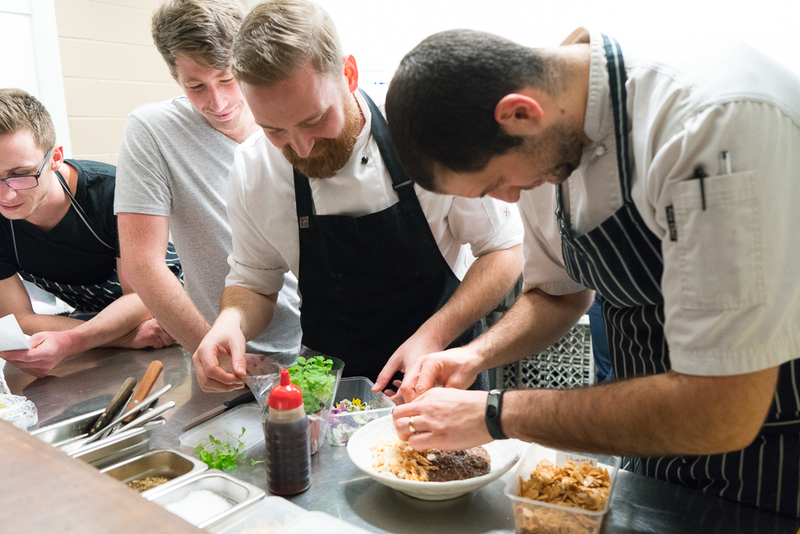 CH James boasts a top notch team of chefs with experience at the highest levels. 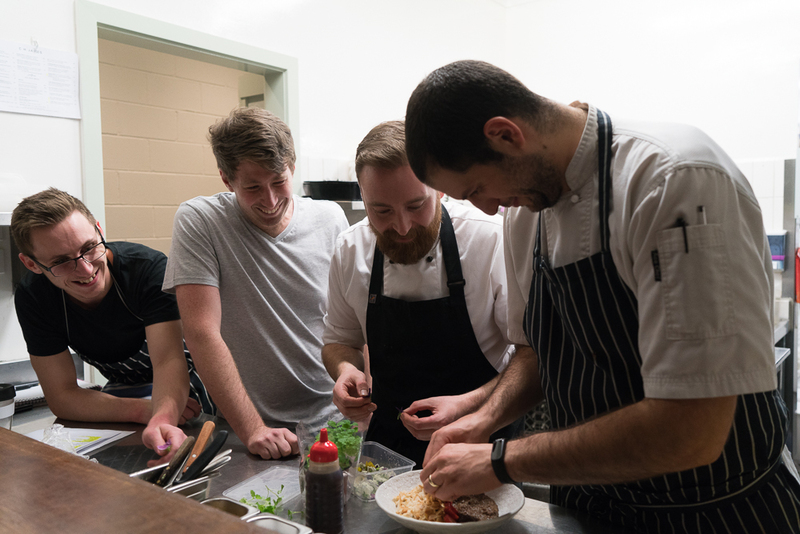 They take pride in their work and in going the extra mile with the dishes. The World Loves Melbourne believes this is not your standard cafe food, but rather restaurant quality food in a cafe. And what is more, great restaurant food! No cutting of corners. The chefs take pride in choosing fresh and seasonal produce. There is also an eye to sustainability and using waste as compost. In addition, the menu is always evolving and changing with the seasons. Some of the signature dishes remain but there is always a change with the seasons, with great feedback from customers. Creamed Oats, slow roasted quince, strawberries, Gingerbread Streusel. This is one for the health conscious, but it is also so delicious! So much goodness in one bowl. Super creamy and super healthy and not full of sugar. The idea is to have rich creamy oats in the spoon. The beautiful colours of the season are displayed. Quince is an ingredient you don't always see, but it is delicious. Another surprise element that brings some sophistication is the Gingerbread Streusel. Gingerbread, oats and spice coming together! With some crunch to balance the creaminess. We think you'll love it! Warm Quinoa Pudding, raw cacao, strawberries, coconut, toasted almonds. 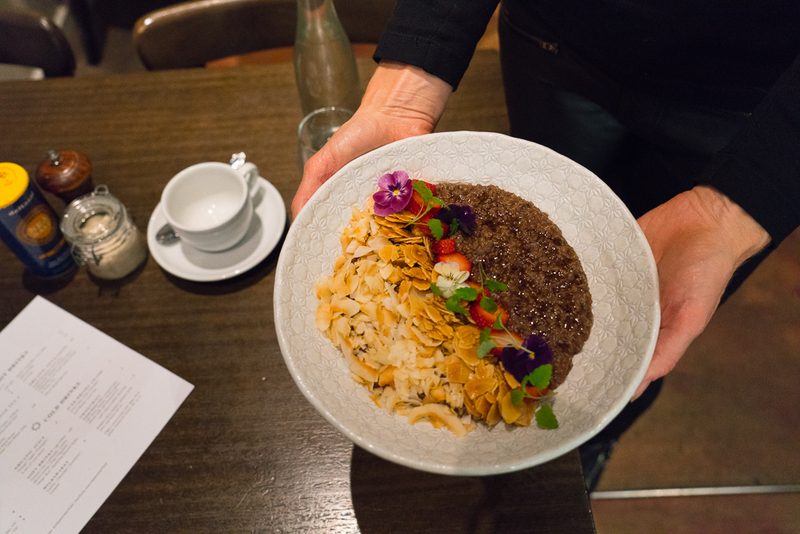 Quinoa has become a popular food in recent times and this warm quinoa pudding brings the nutrition and texture of quinoa with a delightful taste, featuring the raw cacao. Once again this is a diverse dish with crunch of coconut and toasted almonds and the fruit element of strawberries. A rich tasty nutritious dish. Similar to the creamed oats dish there's a great balance of creamy and crunchy. Vegan Green Bowl, hummus, sautéed greens, edamame, dukkah avocado, crispy quinoa, salt and vinegar kale. Something of heaven in a bowl. As my wife said "everything I love in one dish". And she's a personal trainer who is passionate about healthy eating. The salt and vinegar kale is something else! Delicious crispy and creamy elements make this a refreshing enjoyable dish. The Vegan Green Bowl is also surprisingly filling. 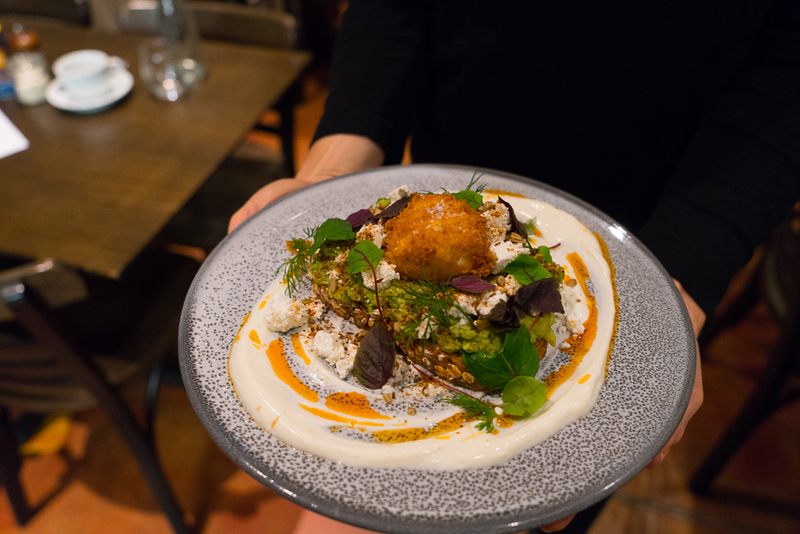 Smashed Avocado w panko egg, feta, dukkah spice, garlic yoghurt, chilli oil. Add hash brown or add house cured Tasmanian salmon. 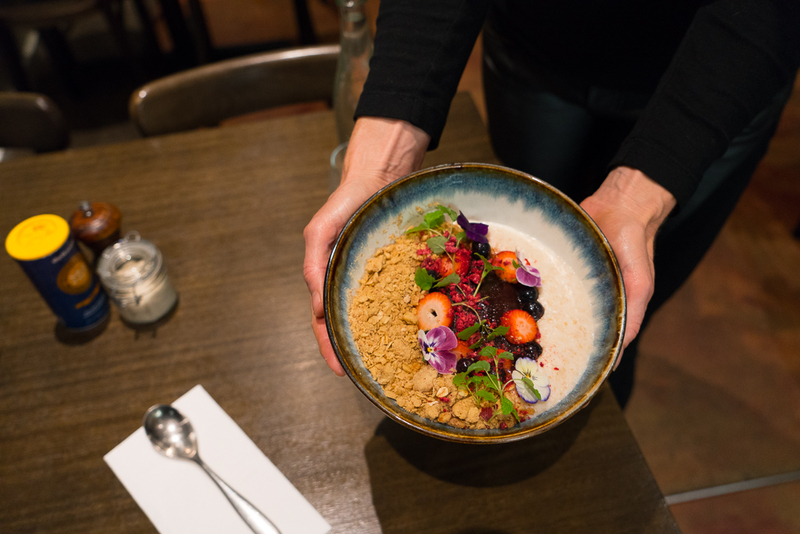 You will find many smashed avo dishes around Melbourne but CH James is distinctive. A healthy serving of smahed avocado on quality bread is excellent, but the dish builds upon this. The addition of a panko egg on top is a masterstroke, as is introducing spice elements of dukkah spice and chilli oil. Not to mention creamy garlic yoghurt and feta. Another dish where the elements come together in harmony. 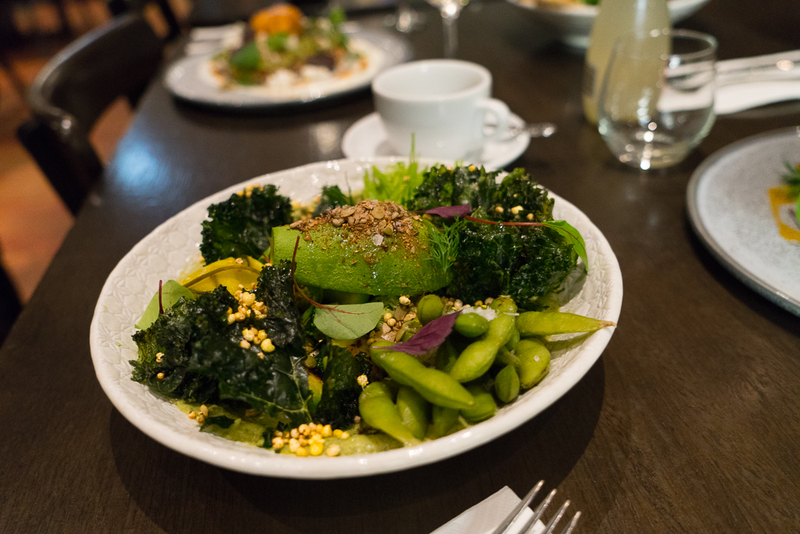 This is a super popular dish at CH James and has been rated as one of the best smashed avocado dishes in Melbourne. Professional and fun in the kitchen. Also one of the new dishes the Hummus Bowl thrills with hummus, creole spiced avocado, chickpeas, raw beets, activated almonds & yoghurt flatbread. Add house cured Tasmanian salmon or poached chicken breast. Who doesn't love a bowl of hummus? Especially with all these other elements involved. Flatbread is a rewarding element to scoop up the hummus. A creole spiced avocado gives tang and complements the hummus. 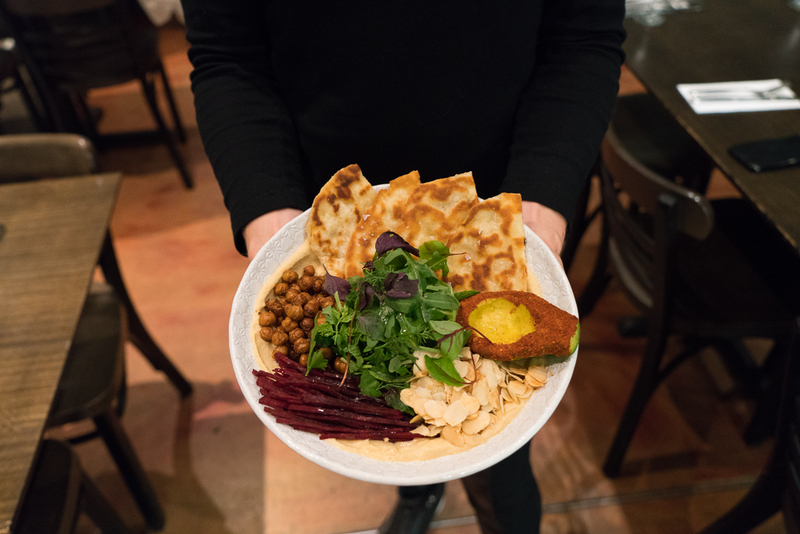 Chickpeas pair beautifully with hummus and the raw beets and activated almonds all provide a contrast to the hummus in terms of taste and texture. Another complete dish full of quality elements. Not your usual hummus bowl. Chilli and Feta Scrambled Eggs on toast. Add thick cut bacon or chorizo. Scrambled eggs is another favourite and taken to the next level by CH James with the addition of chilli and feta. Just cut through the quality bread and load your fork with feta folded through the golden scrambled eggs and dab into the chilli oil. Brunch bliss at CH James in Fairfield. We can recommend adding thick cut bacon or chorizo. The sensational floor team at CH James. It helps enormously when a cafe has a great team and the team at CH James is first class.